China is back on top in men’s gymnastics. The superpower surged past Russia to capture the team gold medal at the world championships to give China its first major international title in four years. China’s team total of 256.634 was less than five-hundredths of a point clear of Russia’s total of 256.585 during a tense final. Olympic champion Japan came in third, followed by the United States and Britain. Russia appeared ready to return to the top of the podium at a world championships for the first time since 1991, when it competed as the Soviet Union. 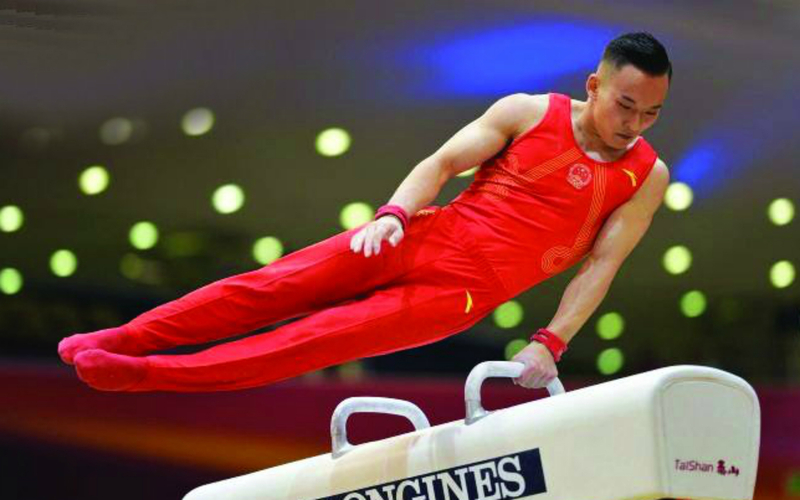 Artur Dalaloyan slipped off the parallel bars during the fifth of the six rotations, and China immediately took advantage. Zou Jingyuan responded with a sublime parallel bars set, and judges rewarded him with a score of 16.2, the highest of the meet. The Chinese then nearly gave the lead right back on high bar. They led by 1.2 points going into the final event but nearly squandered it when Xiao Ruoteng came off early in his routine, giving him a full-point reduction. His score of 12.800 opened the door for Russia’s Nikita Nagornyy. While Nagornyy stayed on, a stall midway through his set seemed to blunt his momentum. Though he drilled his landing, he seemed to know it would not be enough. When his score of 13.733 flashed – not quite enough to catch China – the Chinese exhaled. Japan’s run at the top, which included gold at the 2015 world championships and the 2016 Olympics, ended when Yusuke Tanaka flew off the parallel bars. His score of 11.566 dropped the Japanese out of the race for the top spot, though they rebounded behind two-time Olympic champion Kohei Uchimura to fend off the Americans for bronze. China, Russia and Japan all earned a spot in the 2020 Olympics.